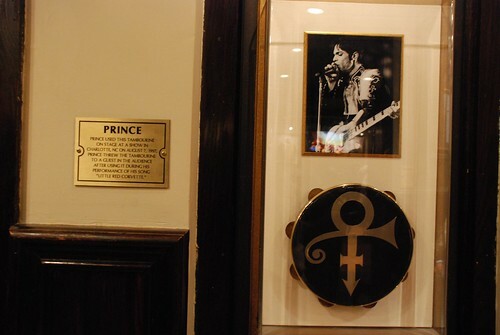 Prince memorabilia at the Hard Rock Cafe in Gatlinburg, Tennessee. 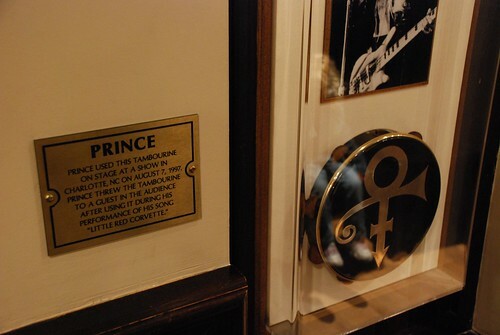 The plaque says: "Prince used this tambourine on stage at a show in Charlotte, NC on August 7, 1991. Prince threw the tambourine to a guest in the audience after using it during his performace of his song ‘Little Red Corvette.’"